We partner with numerous individuals, advocates and organizations throughout the state to improve the system of care for mothers, babies and families. HMHB is a work group leader and founding member of the Hawaii Maternal and Infant Health Collaborative (HMIHC). Established in 2013, HMIHC is a public private partnership committed to improving birth outcomes and reducing infant mortality. The Collaborative has completed a strategic plan aimed at achieving an 8% reduction in preterm births and 4% reduction in infant mortality. To date, over 100 people and organizations across Hawaii have been involved, including physicians and clinicians, public health advocates, insurance providers and health care administrators. One Key Question®: Would you like to become pregnant in the next year? 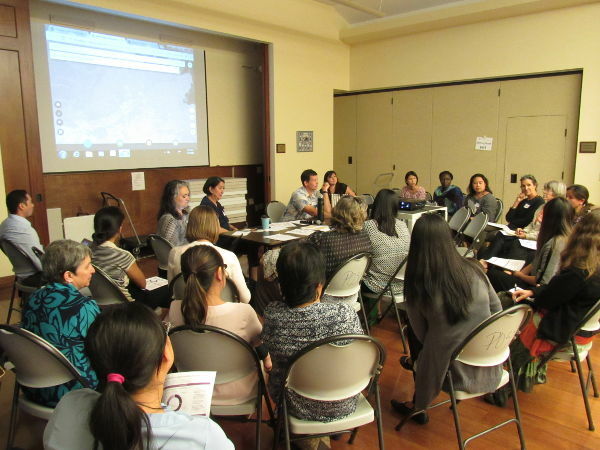 Reducing Hawaii’s unintended pregnancy rate is a major focus of the Collaborative. 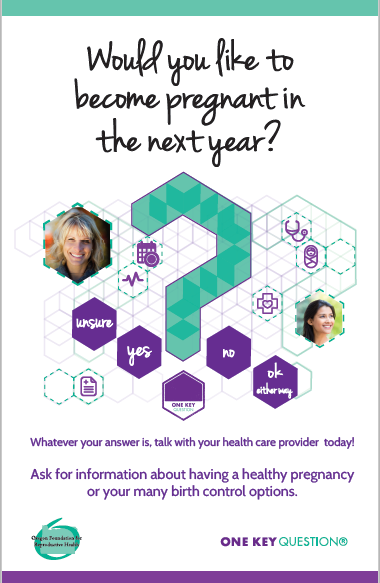 One Key Question (OKQ) is an initiative created by Oregon Foundation for Reproductive Health (OFRH) that is a simple program designed to incorporate pregnancy intention screenings in primary care settings. Screening women for their pregnancy intentions could prove to be the proactive intervention we need to increase the proportion of pregnancies that are wanted, planned, and as healthy as possible. The preconception/inter-conception work group has been busy behind the scenes organizing a plan to establish baseline data on birth spacing and contraceptive use in Hawaii’s Medicaid population. if you are interested in joining the Preconception Team work group. The Infant Health and Safety Team has set two key priorities for 2016: to increase the number of moms who breastfeed their infants exclusively up to six months of age and to address the infants and their caregivers. The second objective for the Infant Health and Safety Team is to make investigate the current system of care to support the caregivers of substance-exposed infants. Lisa Kimura at [email protected]. Improving birth outcomes and decreasing the rate of pre-term births has also been a primary objective for the Collaborative. We have prioritized two strategies to improve birth outcomes and decrease pre-term births through 1) the reduction of risk factors for tobacco, alcohol, and drug use during pregnancy through prenatal screening, assessment, brief intervention and referral to treatment and 2) increasing appropriate access to progesterone use for those women at risk of pre-term birth. We are happy to say that at this point in the Legislative session Senate Bill 2317, which would appropriate funds to the Department of Health to conduct child death reviews and implement a program to perform maternal death reviews is alive and well. Many people have worked to make this effort successful; position papers were written to make the case to Legislators, the Department of Health and professional associations have collaborated to find solutions to member concerns and key legislators have supported the efforts and challenged us to find a pathway for implementation. The funding level will be determined in conference committee. But as the saying goes “nobody has sung yet,” so we will stay on top of the bill for the upcoming weeks ahead. To join the Advocacy Team please contact Dr. Autumn Broady at [email protected]. One of the major focus areas of the Infant Health & Safety work group is to promote breastfeeding to reduce infant mortality and improve health outcomes for both mothers and babies. Although Hawaii has high initiation rates of breastfeeding, rates are challenged when families go through critical transitions such as from birthing facility to home, and returning to school or work. The Breastfeeding Life Cycle looks at these times of transition and identifies actionable ways to improve support in consumer education, professional training, workforce development, community support, and employment laws and policies. Would you like to become pregnant in the next year? 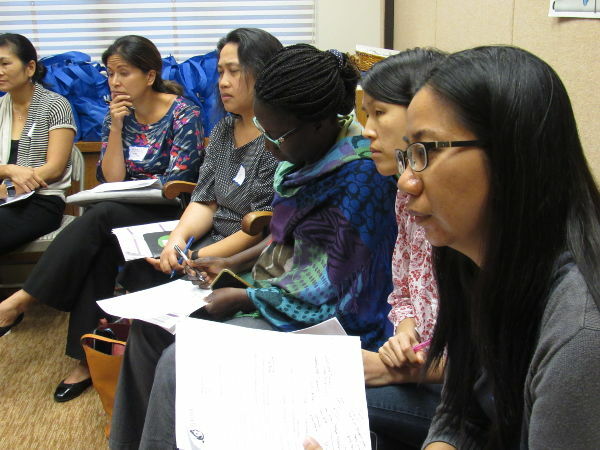 Reducing Hawaii’s unintended pregnancy rate is a major focus of the Collaborative. One Key Question (OKQ) is an initiative created by Oregon Foundation for Reproductive Health (OFRH) that is designed to incorporate pregnancy intention screenings in primary care settings. Screening women for their pregnancy intentions can help increase the proportion of pregnancies that are wanted, planned, and as healthy as possible. The goal is to incorporate pregnancy intention screenings in routine settings, where patients are screened every 3 months to a year, regardless of the reason for the woman’s visit. Training clinicians and non-clinicians on using One Key Question® to support reproductive health and pregnancy planning is underway. This work group is now planning activities for public education supporting reproductive health and related outcomes. Work collaboratively with partners to ensure multiple levels of support exist for families statewide for each stage of the breastfeeding cycle. Hawaii families will benefit from a system of support that permit them to intend, initiate, and maintain breastfeeding to achieve optimum health outcomes for both mother and child. By 2023, increase by 10% the number of infants fed breastmilk exclusively until 6 months of age, and increase by 10% the number of infants breastfed at 12 months. Let us know which work group(s) you would like to join!